When you travel with kids, you give them a platform to open their imagination and learn about the world around them. There are a lot of kid friendly travel destinations that foster this ideal. But, it can be hard to travel, especially if you’re tied to a high demand job or maybe working on your grad degree. But, it’s up to you to give your kids their best childhood ever. Traveling is a great way, is the best way, to teach your children cultural values, educate them on the world around us, inspire their creative thinking, and build confidence. But how can you possibly take your kids on trips when you have so much work to do? Well, I will get to that, but before I do, I want to share with you a killer bucket list of places you should travel to with kids. From theme parks to magical forests and even camping beneath the stars, you’ll be making a lifetime memories with the ones who matter the most. Before your kids get of age and leave your house, it’s a good idea to spend as much time as possible exploring different places to open up their minds and expose them to different cultures. This can be tough if you have to juggle grad school with the demands of studying and research papers, but it’s so important to try and fit this into your life. Looking back, I’m so glad that I made it fit. Riviera Maya in Mexico is one of the most impressive and kid friendly travel destinations to spend a vacation at. In the Riviera Maya, your kids will experience Day of the Dead and broad natural diversity in some of the Mayan archeological sites that are as old as 300 BC. Explore the Xcaret Park and the rich Mayan culture as you visit the ancient Mayan ruins and Cenotes of the jungle. Ireland is a great destination for children to experience. With its castles, megalithic sites, folklore, impressive countryside, dramatic coastline, and quaint villages there is plenty to explore. Experience the mystery of fairy folklore, Irish legends and the origins of Halloween. Lapland is a cultural area which spans to the northern Fennoscandia stretching to some parts of Norway, Russia, Finland, and Sweden. For this purpose, I am referencing Finnish Lapland where kids can experience the northern lights, the “real” Santa Claus, and even spend a night in an ice hotel. Your children will never forget the Auroras from snowmobile safaris and folklore storytelling with Sami after a reindeer sleigh ride. Norway is another destination you can take your kids for an excellent adventure. Here they will experience the oldest Viking sites as they learn about the history of Vikings who were great craftsmen and warriors. They will also discover the exciting history of Norse legends, making the whole adventure worthwhile. California gold country is an excellent adventure for your kids to learn and understand about the history of the Great American Gold Rush and visit different ghost mines and towns. There are great shops for your kid’s shopping, stagecoach rides and gold panning that is popular with children. There are more than 20 old wild west sites for your kid’s liking. 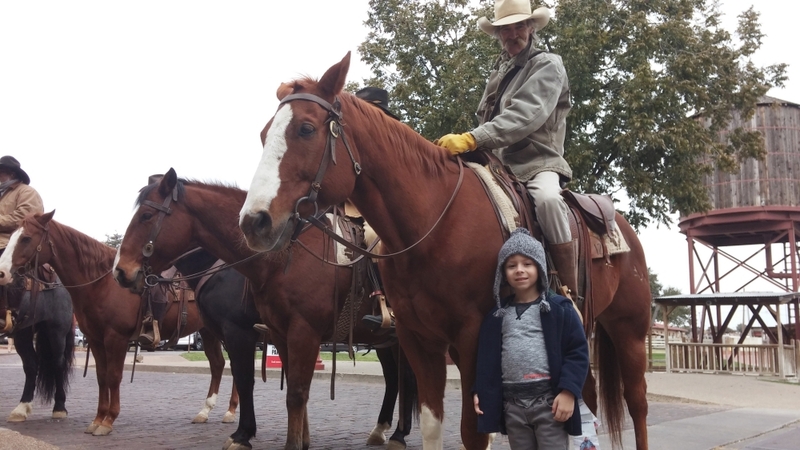 If you are planning to take your kids for a trip once school is out, Fort Worth in Texas is a great place to spend their vacation. Your children will enjoy the cattle drive after a busy day of learning about American culture and where the west began. Then in the evening, they can experience the thrills of the rodeo. Scotland has fantastic landscapes, especially on the Isle of Syke with places like the Fairy Glen and Fairy Pools. With mountain ranges and substantial dramatic coastline, your kids will also learn about the local folklore while feeding their thirst for adventure. If your kid is a Harry Potter fan then London is a must. Experience Harry Potter Studios. There is also a great deal of history and to explore in London. Whether it’s along the royal trail or the literary one, there seems to be a little bit of magic at every turn in this historic city. If you’re looking for outdoor kid friendly travel destinations that are great for hiking and camping, take your little ones to Lake Tahoe in California to experience one of the most iconic outdoor adventures in the US. A trip into town is great for movies, shopping, and different restaurants best for kids. Lake Tahoe provides a wide variety of attractions and activities to keep your children entertained. Once the schools are closed, take your kids for a road trip across the country to enjoy and experience different beautiful sceneries along the highway. America’s most iconic cities are along the route from the east to west coast. Not to mention, a week and a half in a vehicle with the family is sure to lend some great memories. Take your kids to Tokyo, Japan to experience both ancient history and pop culture. From gaming to comics, the entire city is filled with fandoms and quirky experiences. There are also beautiful gardens and one of a kind restaurants that should be on everyone’s bucket list. There I am goofing off! Just poking around the island. Your children will love a trip to Bradenton, Florida for an exciting vacation. Here they can not only enjoy the Island life on Anna Maria Island, but they can take in hundreds of years of history at places like the South Florida Museum. Not only is this one of my favorite kid friendly travel destinations, but it’s my home state! Head to Alaska where you can explore incredible wildlife, the northern lights and real glaciers. You can also learn a great deal about the myths and legends of the native Inuit people. The magic of New York during the holidays is indescribable, with iconic experiences like Radio City Music Hall and Rockefeller Center, your kids will experience a memorable adventure. You will find that Rockefeller Center is also great for shopping after visiting the Museum of Natural History. Take your kids for a great vacation to Orlando and experience everything from outdoor adventure to luxury shopping. The trip will get extra exciting when you experience the outlet shopping centers, sports events, theatrical performances, and incredible concerts. You also can’t ignore iconic attractions like Universal Orlando Resort and Walt Disney World where the magic of film comes to life in worlds oozing with adventure. One of the best places to travel with kids is St. Augustine known as the oldest city in the United States, and even more exciting, the only medieval city! Experience excellent dining, culture, history and art. One place to travel with kids for sure is Washington D.C. our nation’s capital. Here they can experience the many Smithsonian Museums and see the incredible buildings which make up our Senate, Congress and of course, the White House. A road trip in the American south is an incredible adventure and one everyone should take whether you plan to travel with kids or not. Explore some of the most historic buildings and homes, American History, incredible parks, coastlines and iconic southern hospitality. If you plan to travel with kids, you should always think about how the trip will inspire them to appreciate the world, diversity in people, use their imagination and learn. Exposing them to culture, different foods, art and landscapes in any of these kid friendly travel destinations will build confidence and encourage them to love others, and love the world.